With direct involvement from Roberto and Candy, KLA Schools of Walnut Creek was inspired by the community and designed by a collaboration of our architects and the education team. Our center is custom built to enable students to excel in their learning objectives. Build-out specifications for the 18,000 square foot school include 12 classrooms, a Light Room, a lively indoor playground, a 10,000 square foot outdoor playground and an involving Atelier as a centerpiece to stimulate children’s natural curiosity. The KLA Walnut Creek school features the most functional and modern furniture specially crafted for early childhood education. The classroom materials and equipment are carefully selected to accommodate the different age-group needs and classroom settings. The mission of the Reggio Emilia inspired KLA Schools of Walnut Creek, and the goal of Roberto and Candy, is to construct a safe and secure learning environment and to provide an affordable high-quality education that promotes social, emotional, physical and cognitive development for preschool students in the Walnut Creek community. KLA Schools offers a one of a kind and highly accredited program. 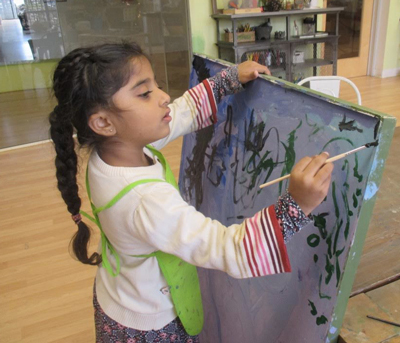 Its philosophy, inspired by the Reggio Emilia Approach, provides a unique educational program with a rich environment that focuses on the individual learner. The approach is geared to building student skills while fostering new talents in a warm and nurturing environment. 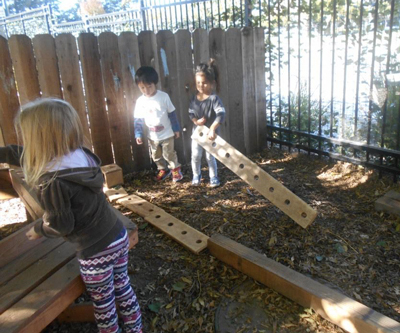 More than just a child care center, at KLA Schools of Walnut Creek your child will build the knowledge and skills needed for a strong foundation in early childhood education. With closed circuit cameras, electronically locked doors and a security guard on staff, we offer peace of mind to families. KLA Schools of Walnut Creek is located in a family-oriented community that fosters a dynamic economic development environment. 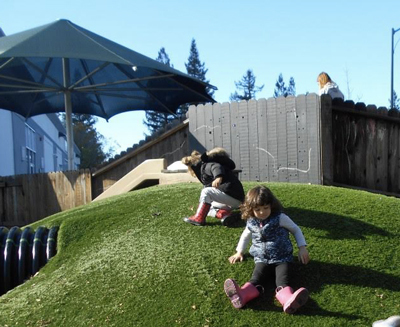 An Atelier connotes an artist’s workroom and at KLA Schools of Walnut Creek, it is also a common space that children share. It supports the use of different media while encouraging exchanges between the different materials, people and ideas. I am really happy with the schedule, with the people and with seeing how much our daughter enjoys being at KLA schools. Thanks for everything! We love KLA Walnut Creek and count our blessings that we have Ale and Raman as our daughters teachers. I 100% feel like KLA is an extension of our home and our teachers are like second (and third!) moms to our daughter.